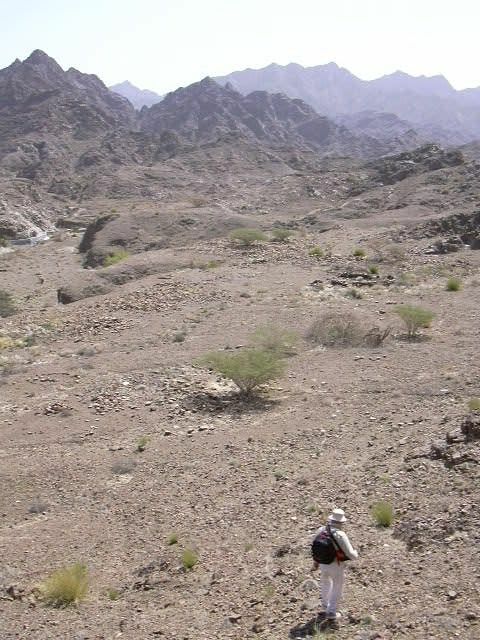 When our colleague Phil Iddison, visiting from the UK this week, challenged the group to take him to a place he had never visited, the Al Ain chapter met the challenge!!! 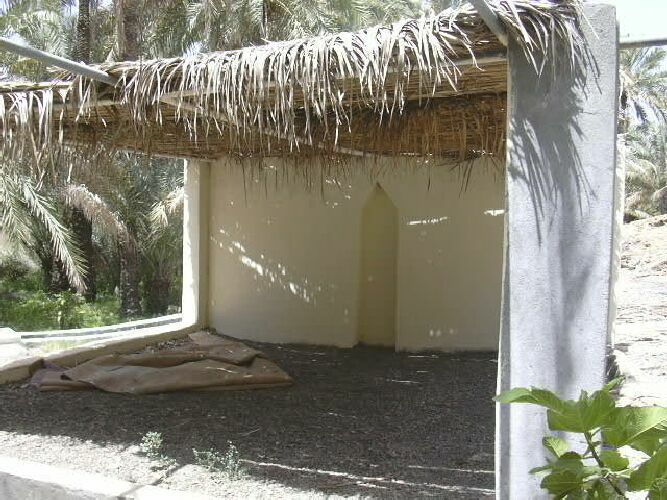 More than a dozen members of the chapter, including three students from the Al Ain English Speaking School, visited the lovely oasis at Musah on Friday 23 May. 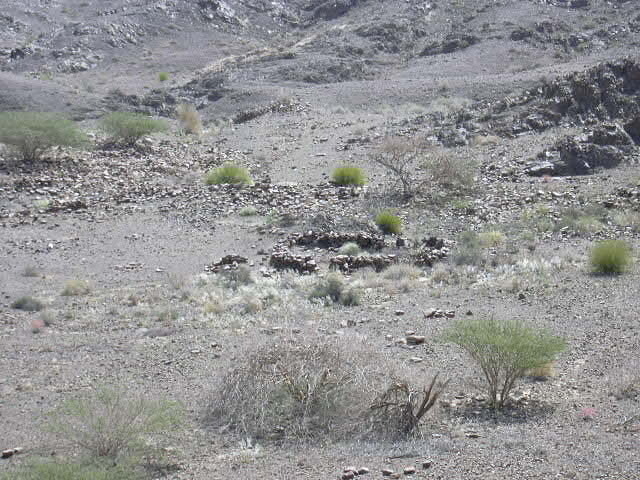 Though it was hot, the oasis was still lush with growth from the rains of a few weeks ago. 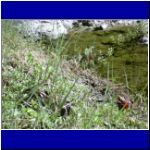 There were many opportunities for Phil and others to photograph plants in full flower. 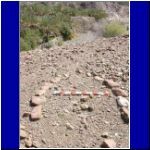 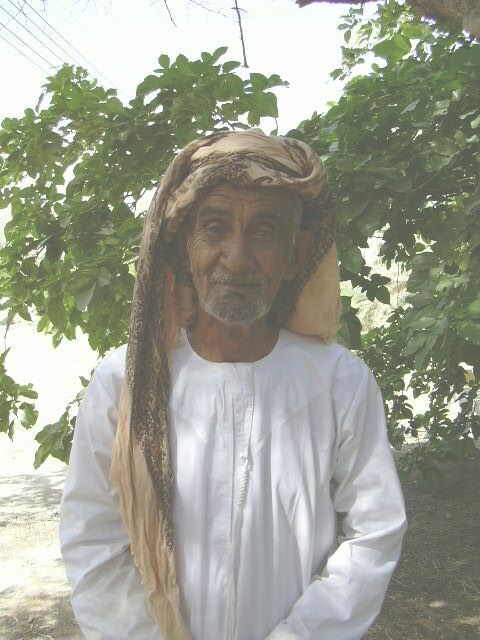 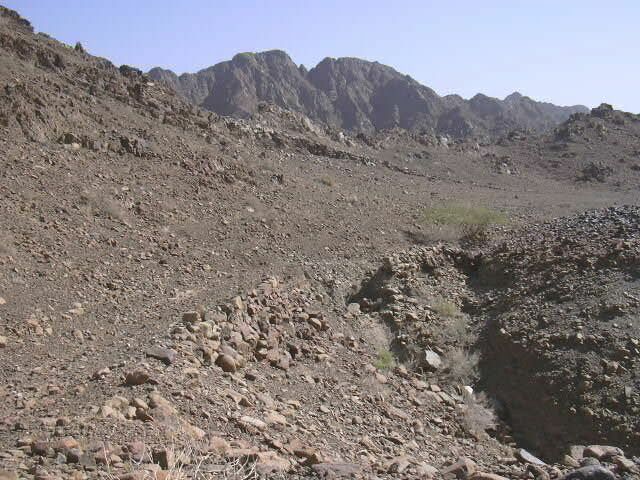 During our time in Musah, one of the former residents, an engineer who now lives in Buraimi, was hiking in the hills just beyond the oasis with his binoculars. 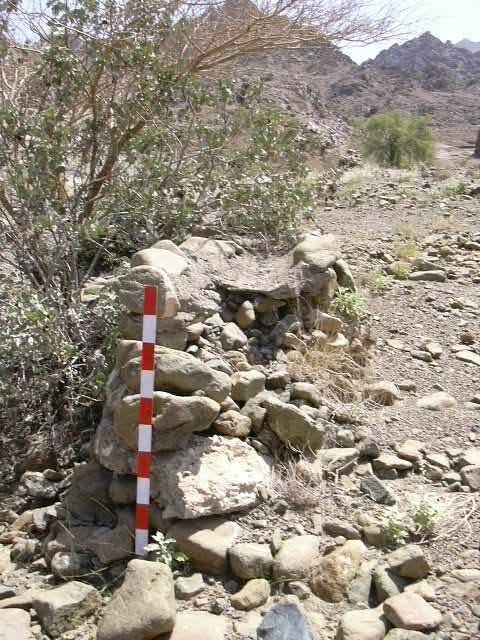 He explained that he was looking for honey bees that were either drinking at the falaj or collecting pollen from the many plants in flower. 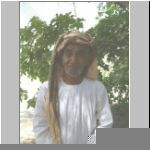 With his binoculars, he explained, he could follow the bees back to the hives where honey was being produced. 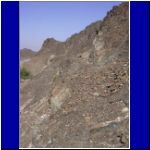 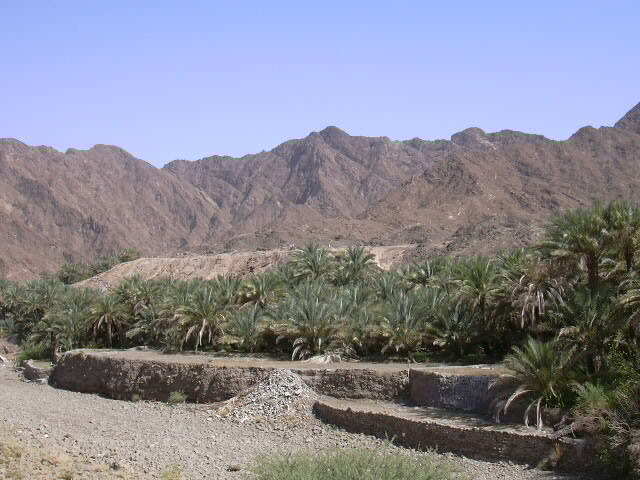 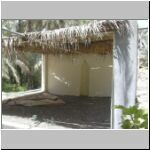 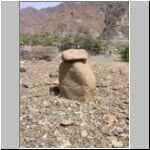 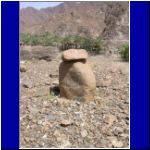 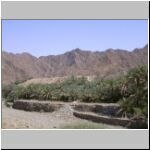 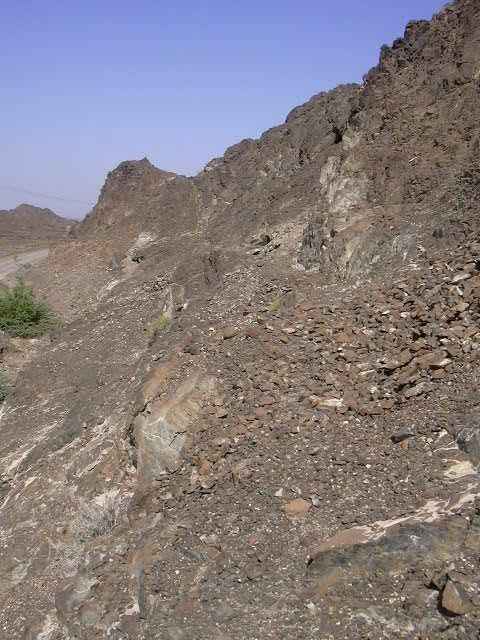 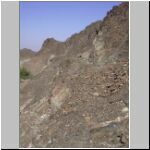 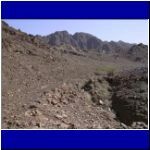 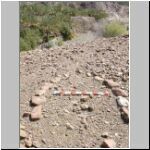 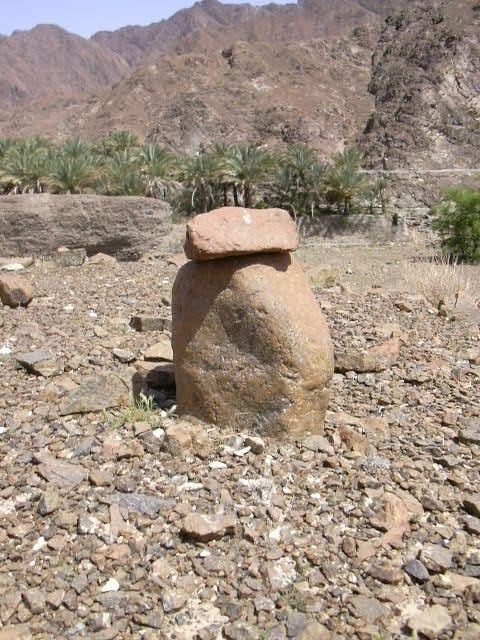 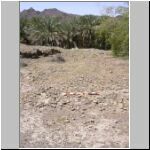 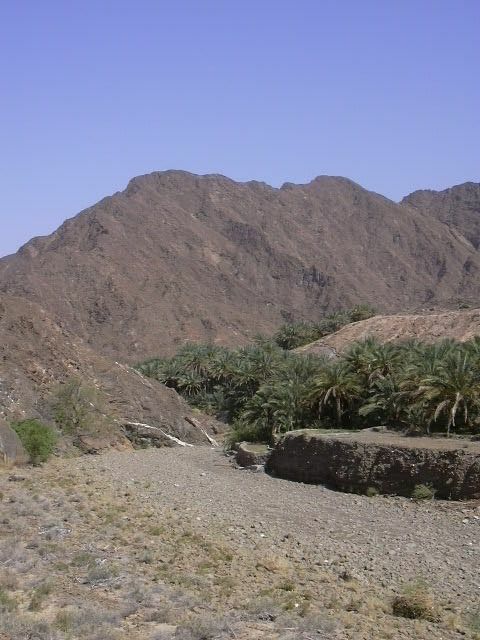 Musah is one of the oases strung like pearls on a string along the foothills of the Hajar mountains from Wadi Sharm to the Sohar road. 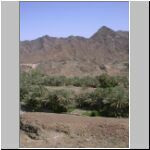 Each oasis has an extensive fallaj system with the standard mix of plants in each oasis: date palms, mango trees, banana plants, and citrus trees (orange, lemon, lime). 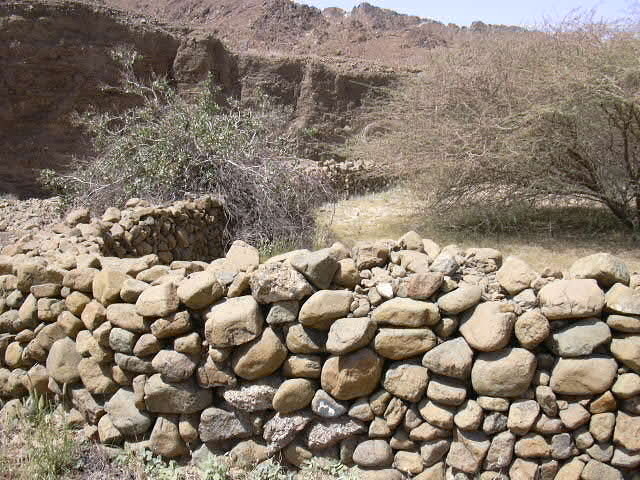 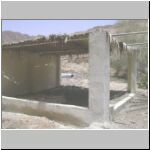 Musah is interesting in that there are two primary sources of water for the plantings. 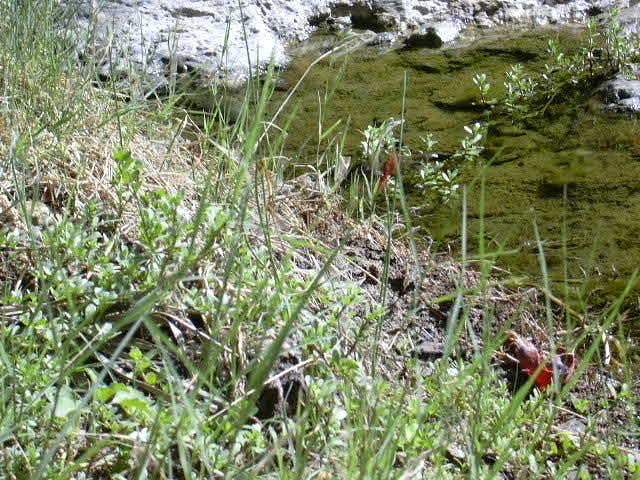 High above the homes, there is a spring. Water is lifted from the spring and channelled by the aflaj to the plantings. 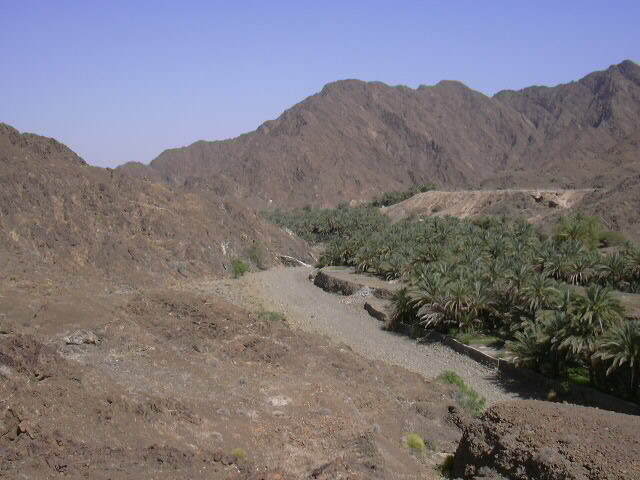 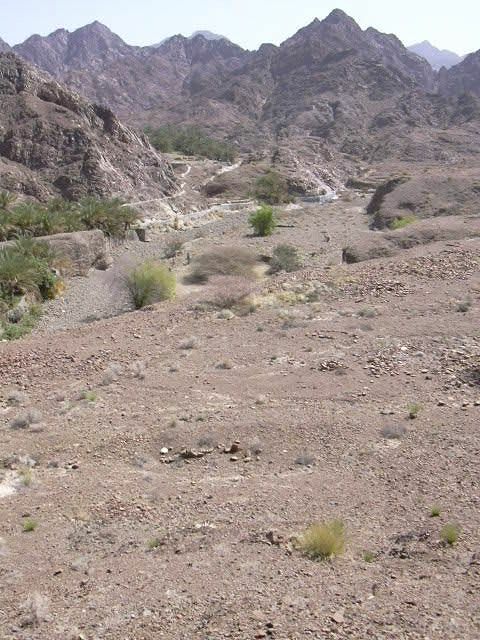 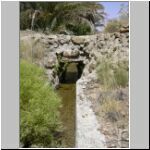 The second source of water is from the mountains, carried to the plantings by aflaj that cling to the wadi banks. 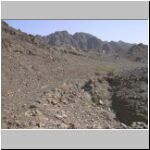 The aspect most visitors note about Musah is the change in elevations . 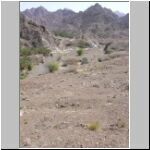 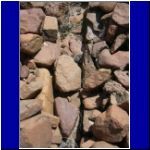 . . at one point, the mountain-fed fallaj system includes a small waterfall, the water cascading into a small reservoir. 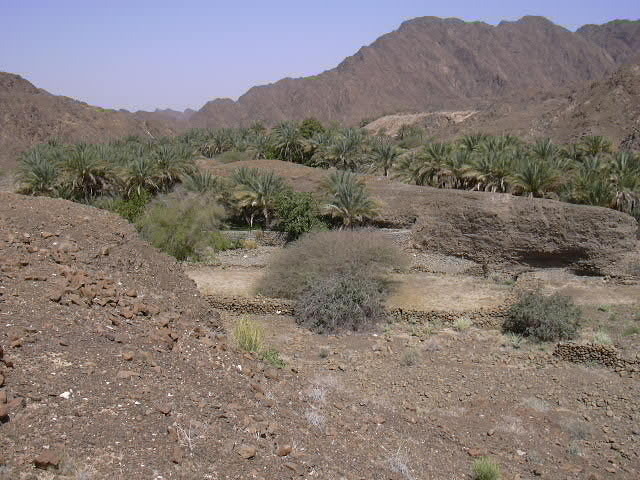 There are several reservoirs in and around the oasis. 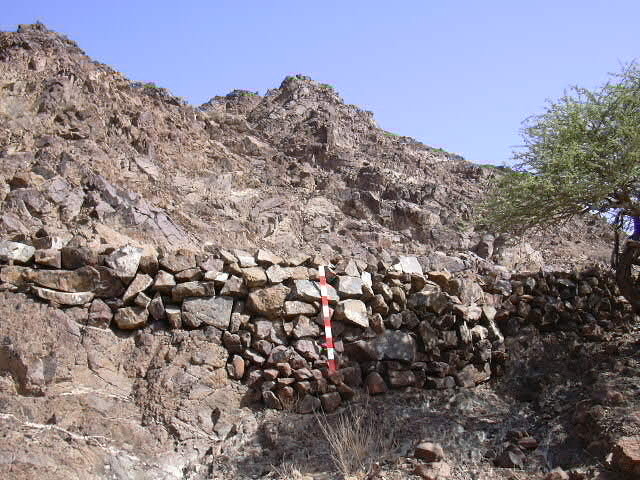 The afflaj at Musah are also interesting in that there are many bridges over the channels and several aquaducts. 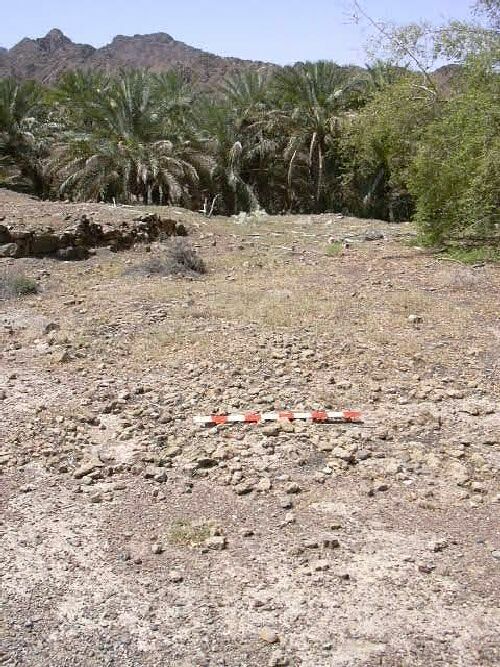 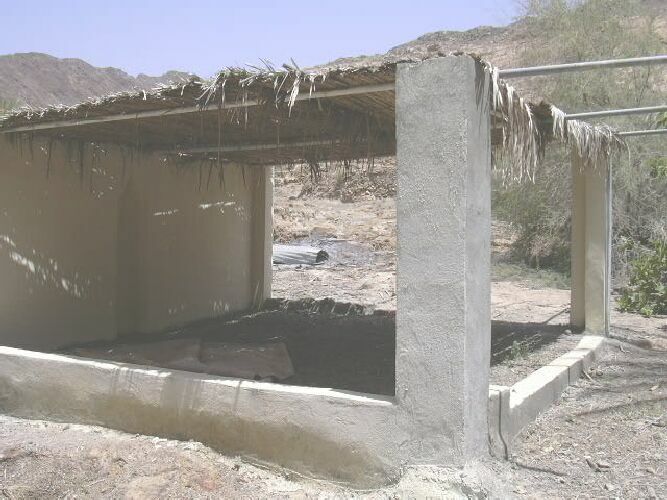 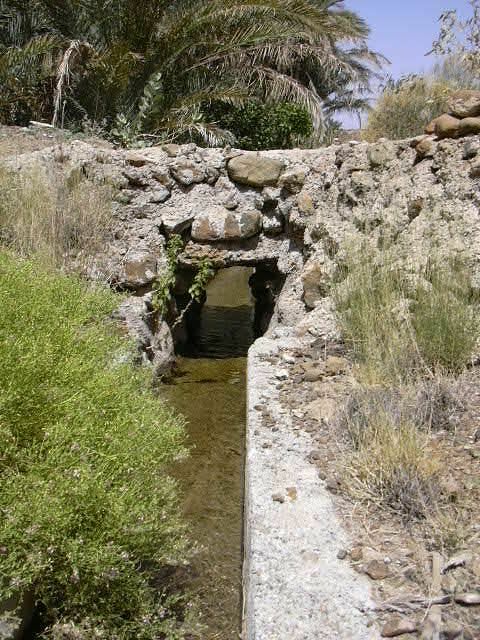 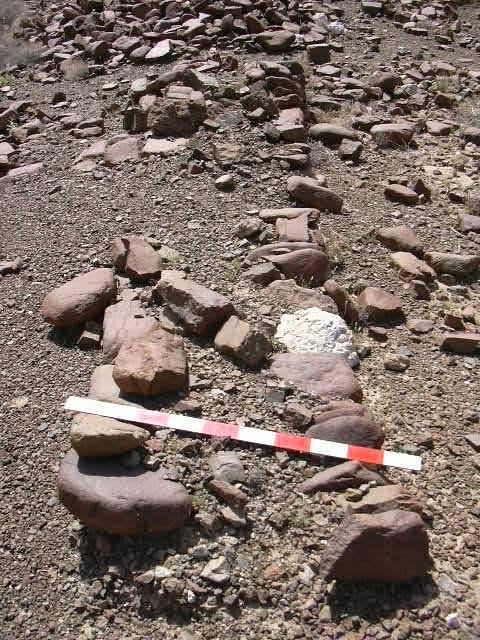 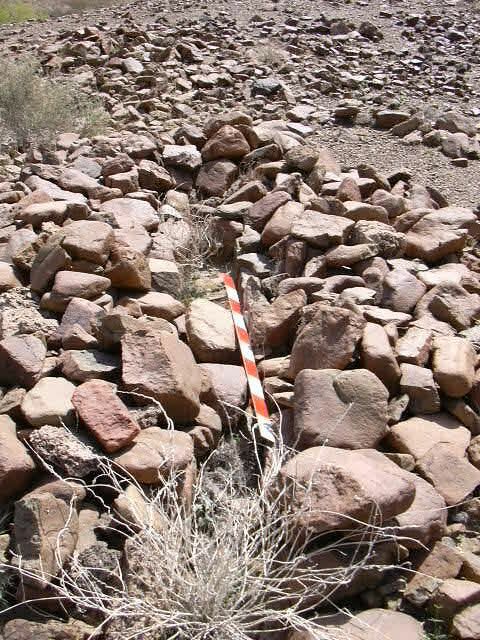 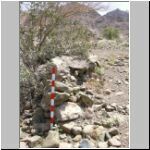 One large aquaduct, supported by columns, has washed away; this system was originally intended to irrigate a small field on the opposite side of the wadi. 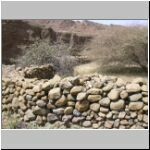 That farm is no longer actively worked. 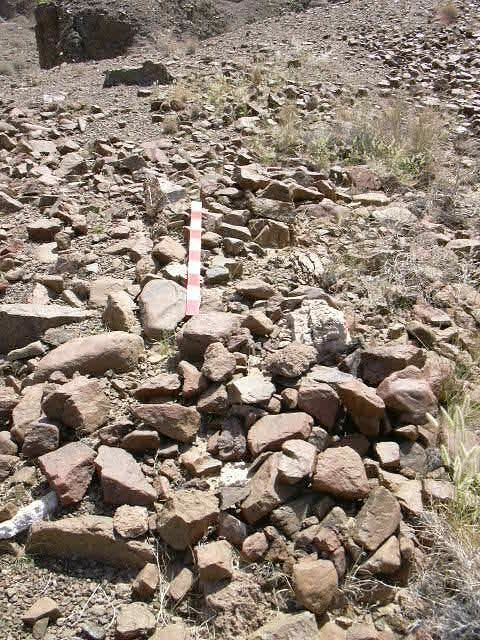 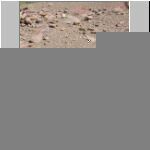 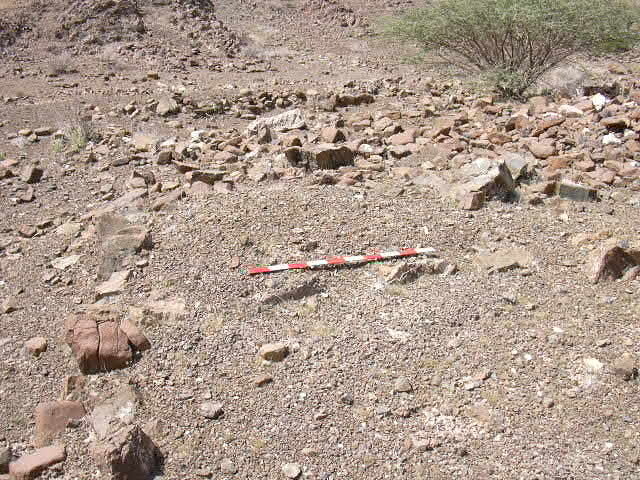 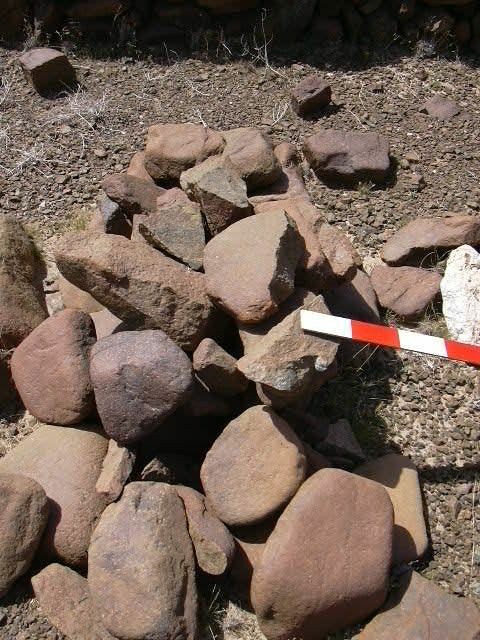 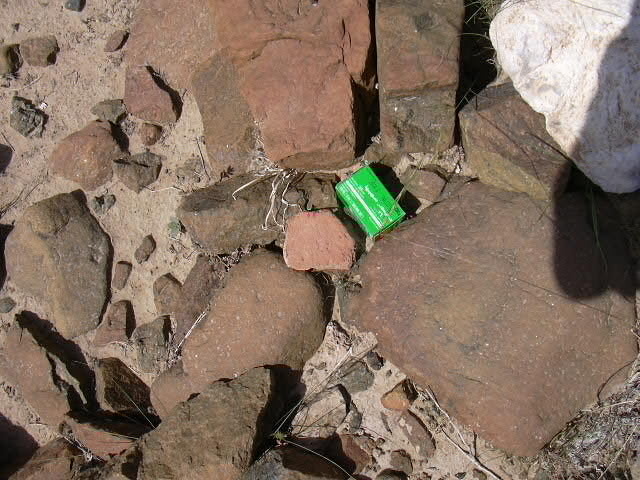 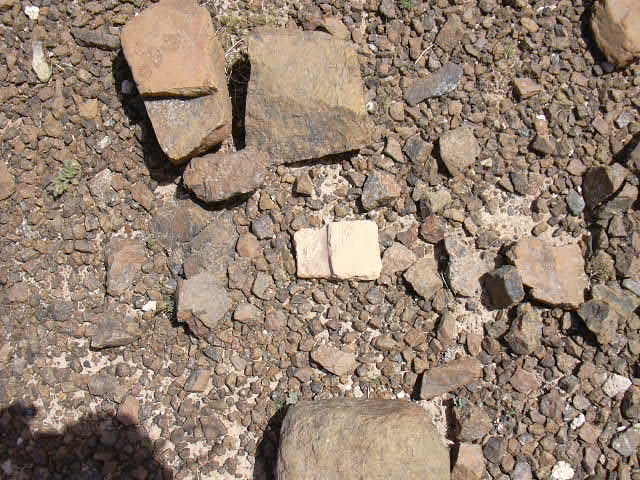 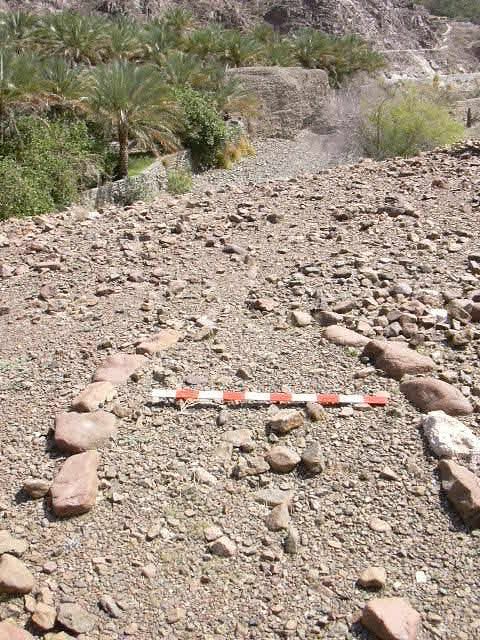 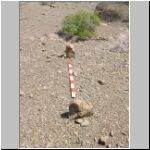 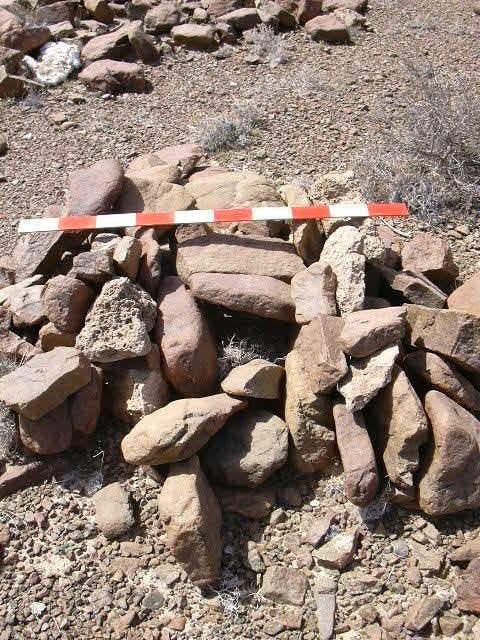 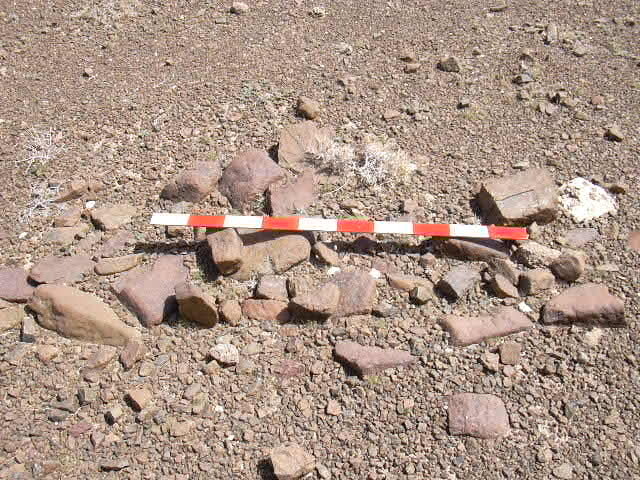 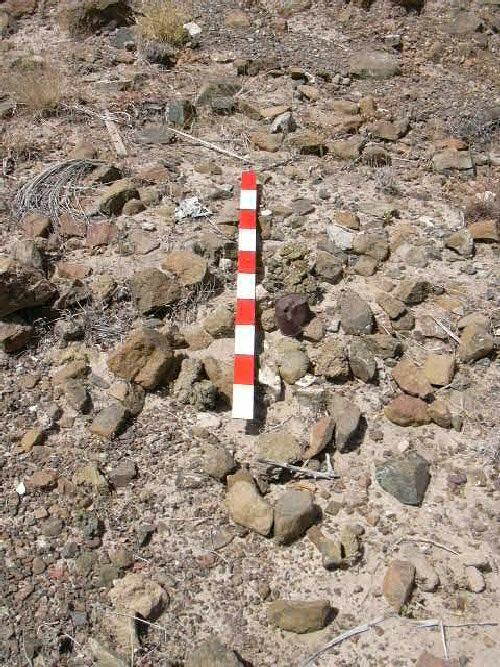 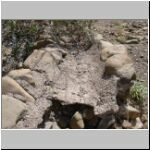 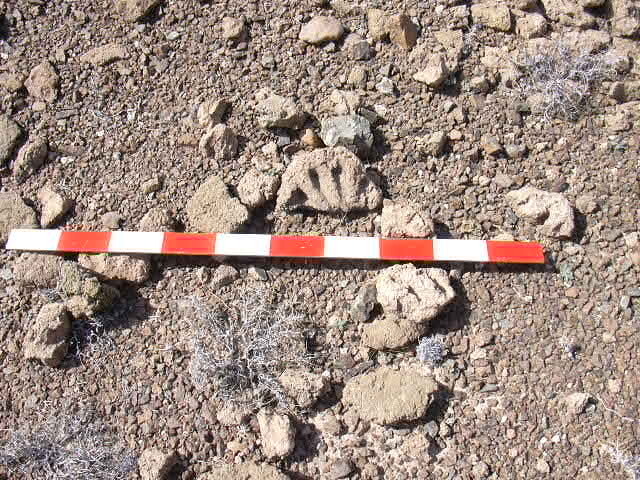 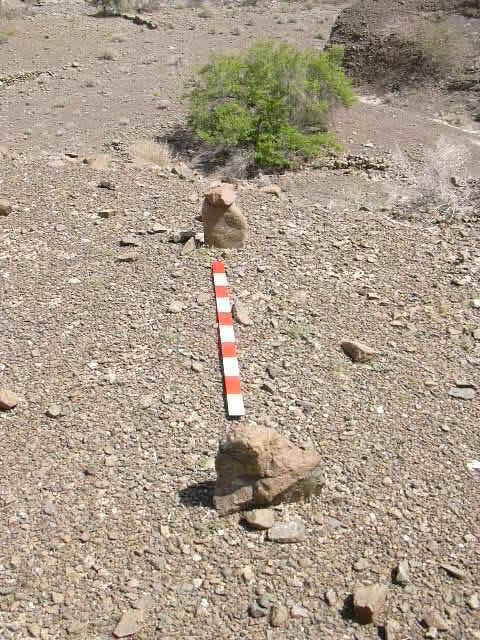 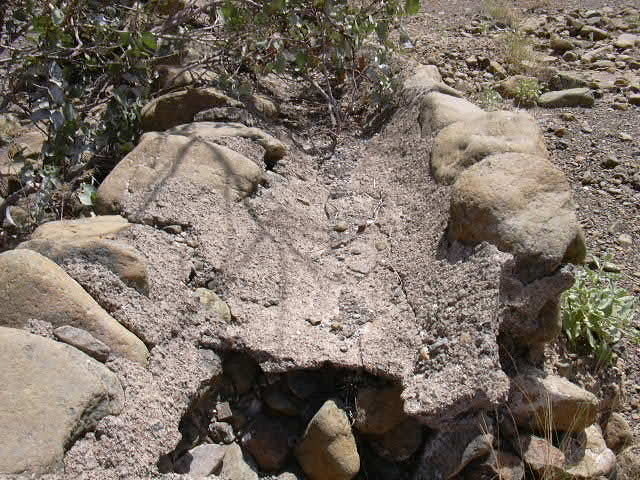 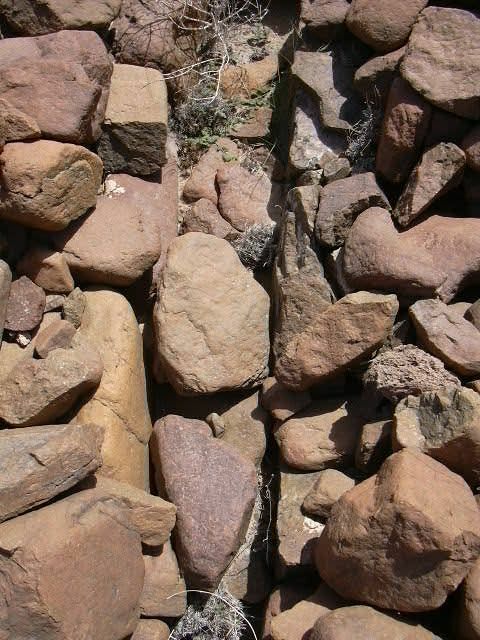 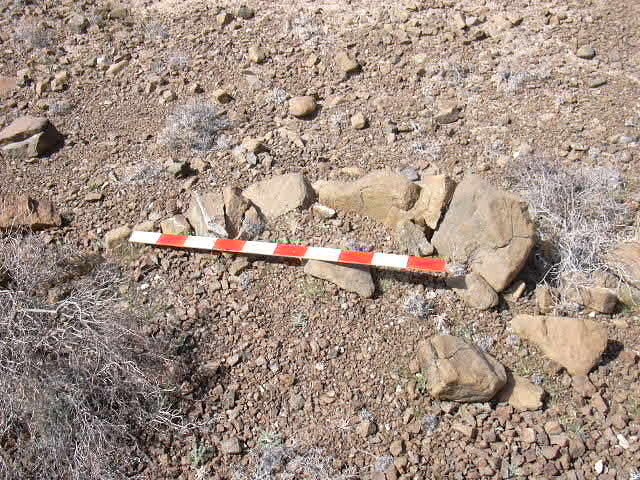 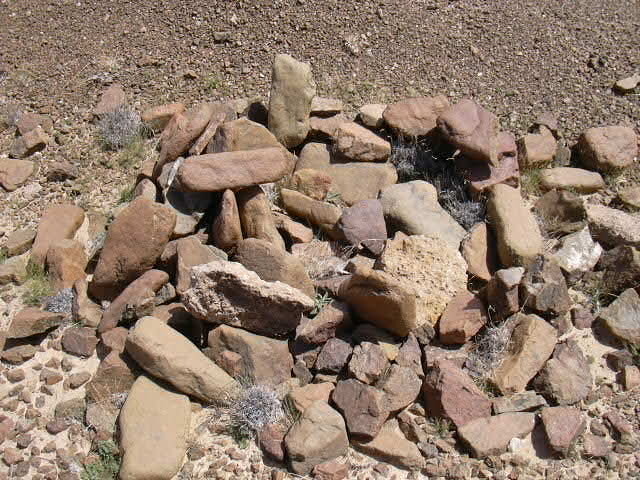 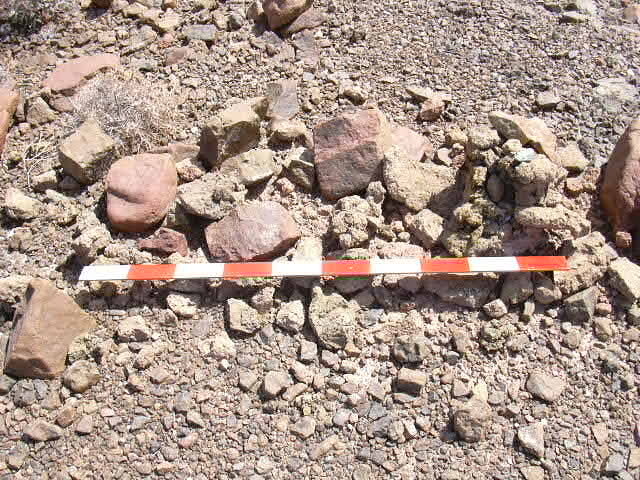 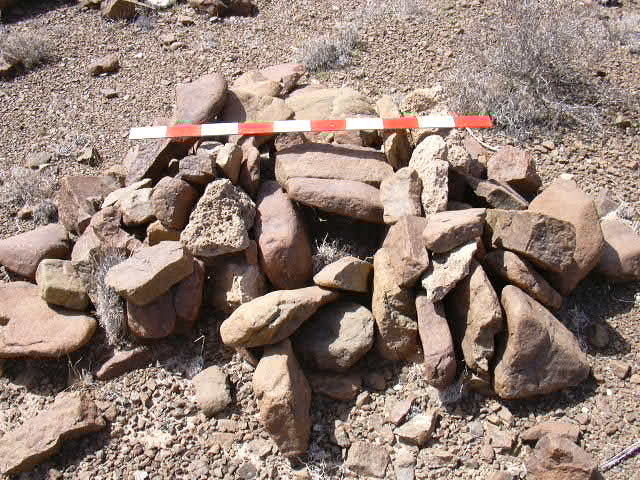 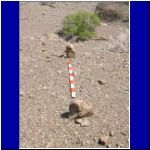 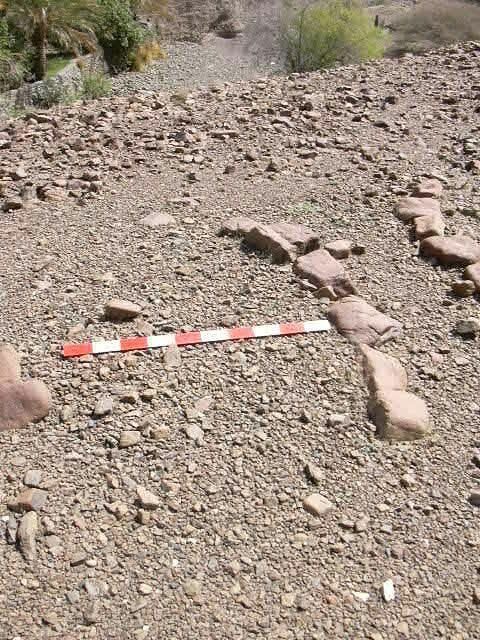 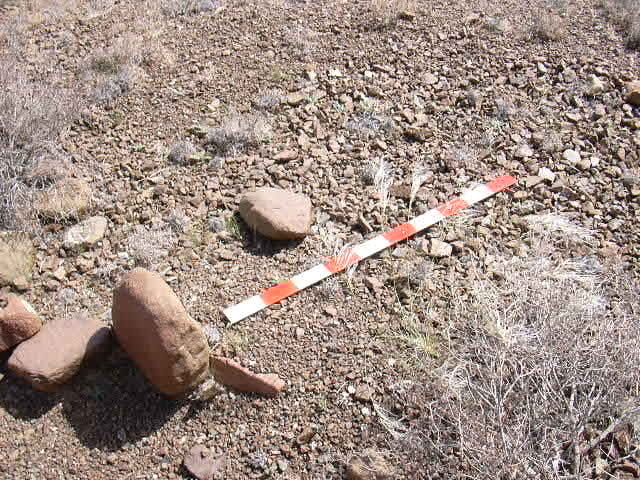 The oasis also has its share of archaeological features that we now anticipate in these sites. 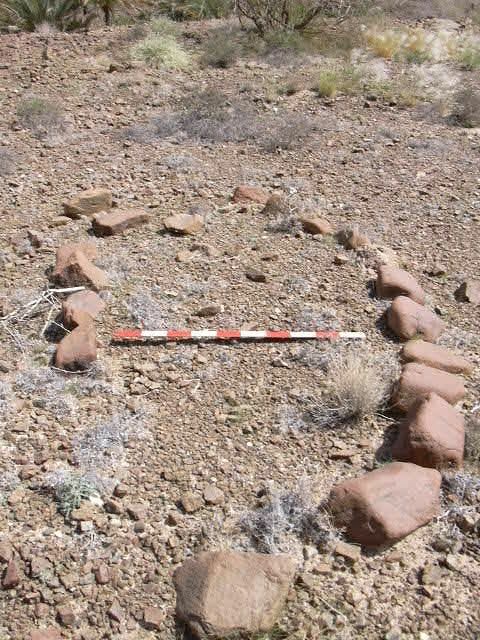 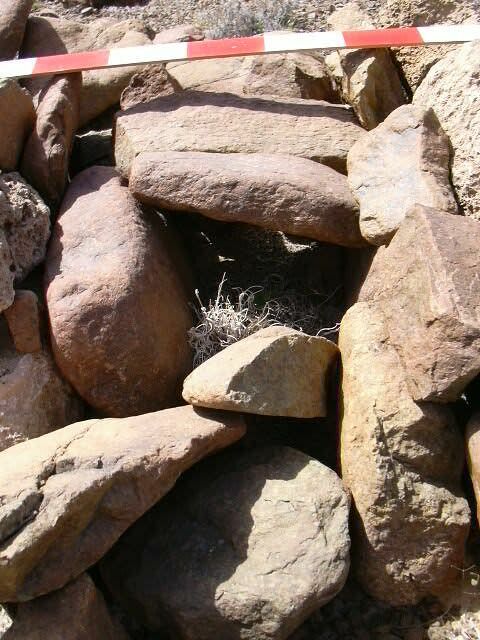 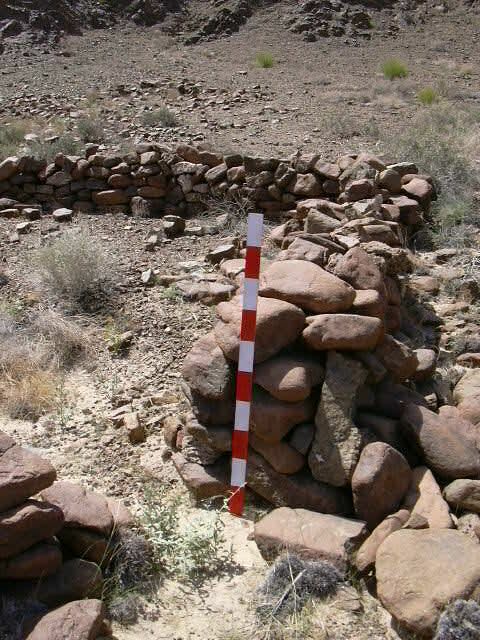 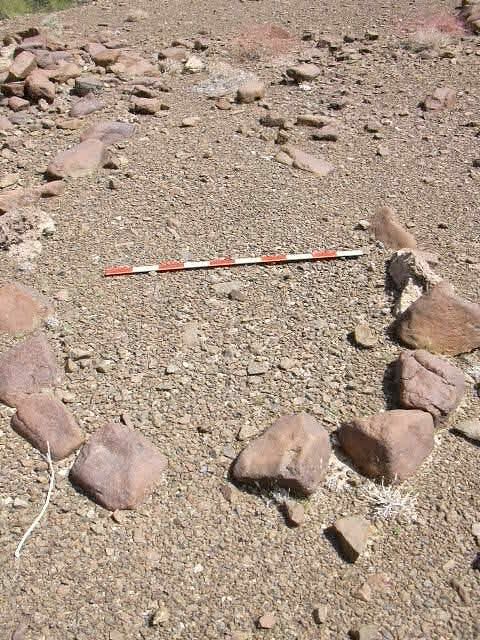 On the side of the oasis opposite the oasis, there is a small plateau with numerous graves, fox traps, a large walled building (house? 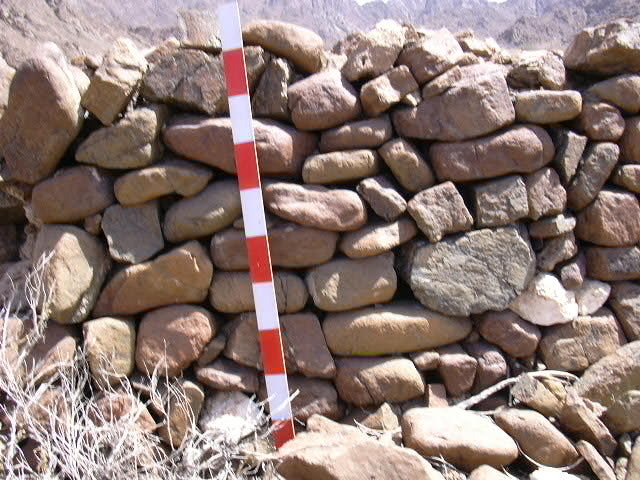 corral? 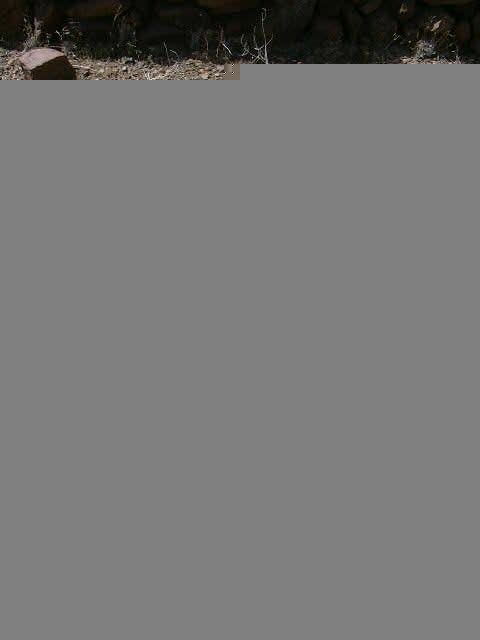 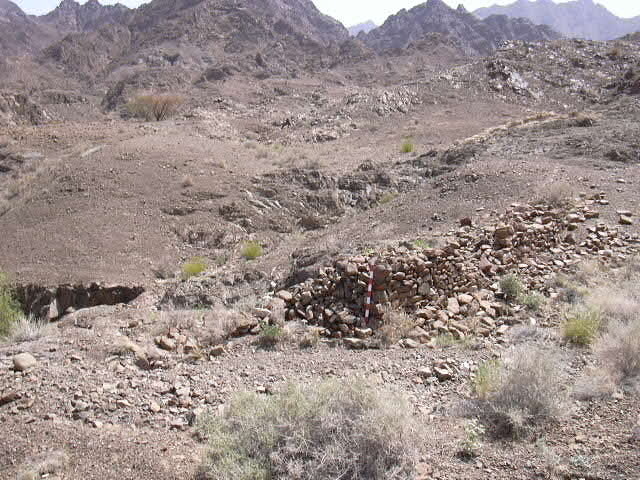 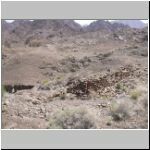 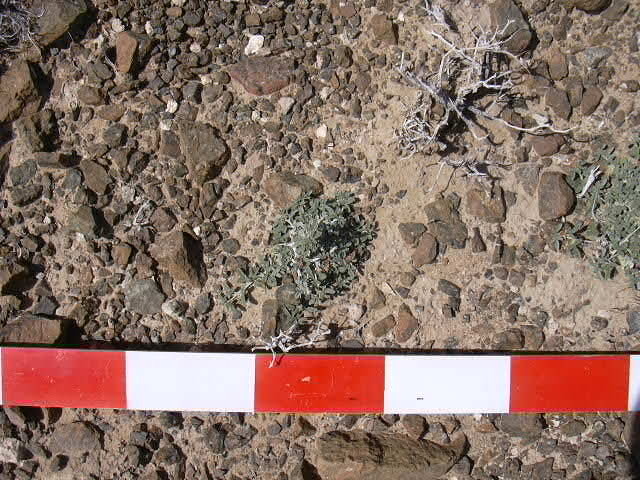 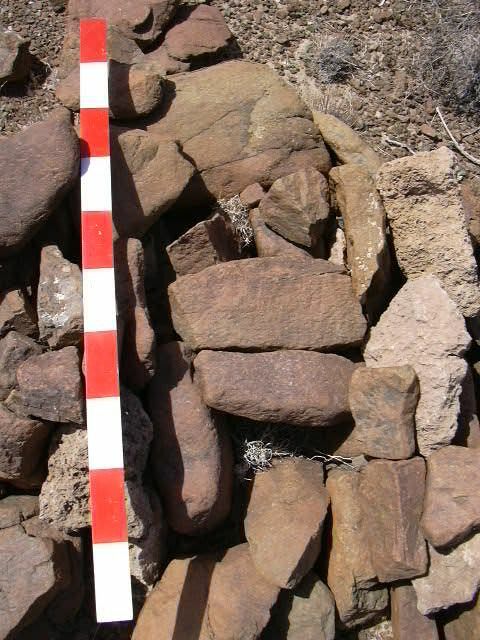 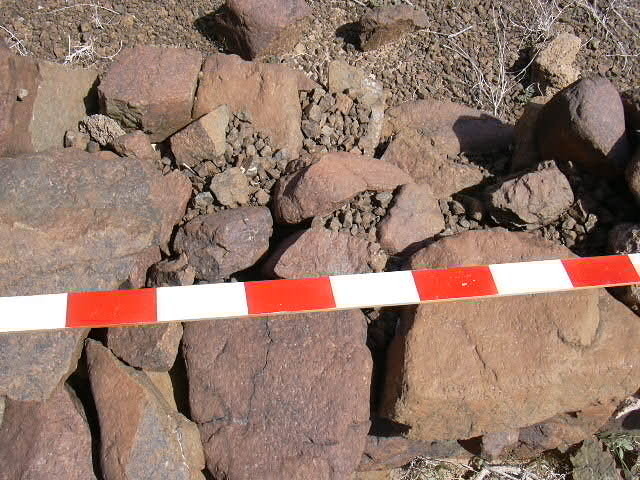 ), one copper smelting area and many structures that cannot be identified. 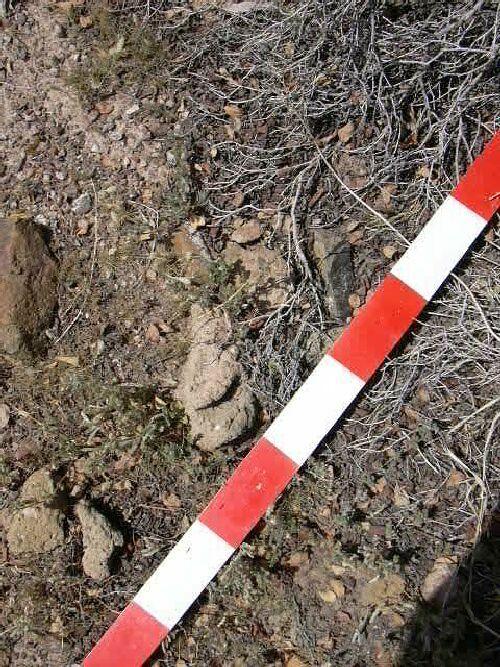 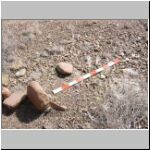 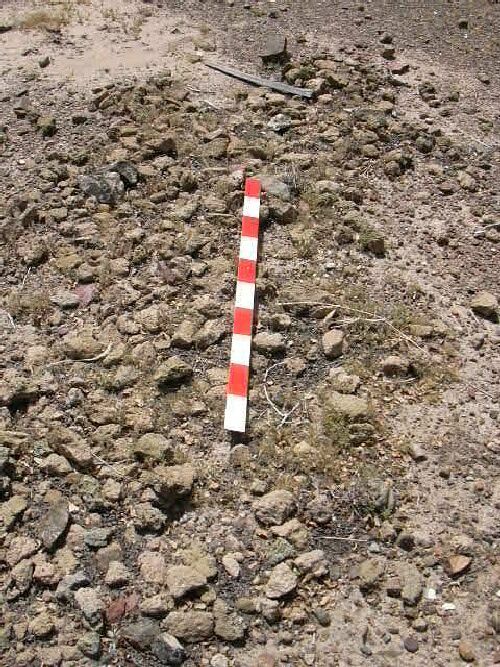 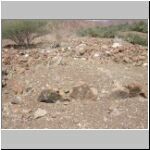 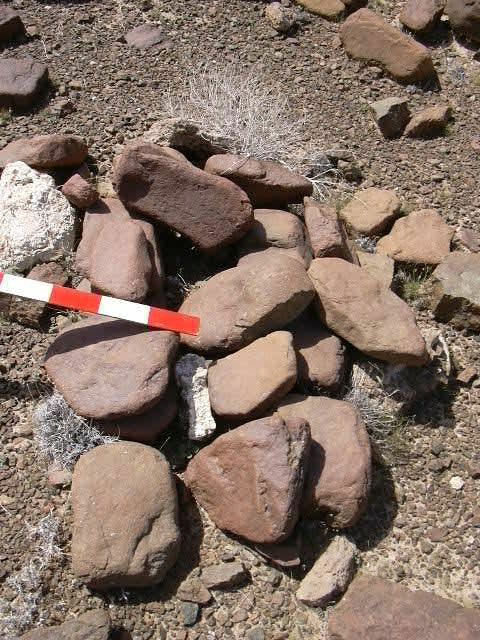 The number of graves suggest it was not a place of habitation, as the graves are located around the plateau. 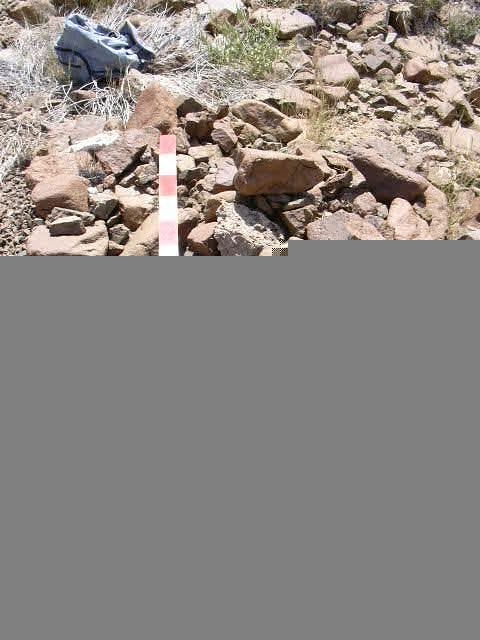 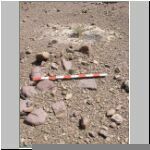 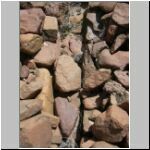 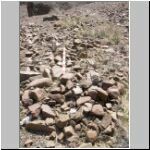 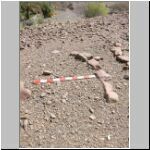 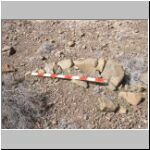 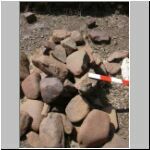 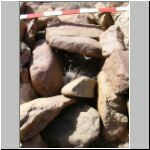 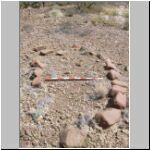 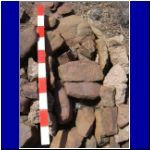 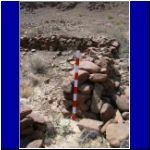 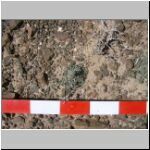 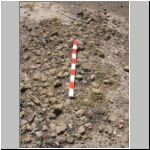 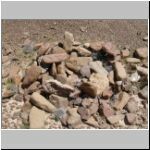 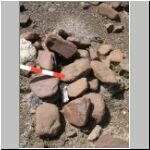 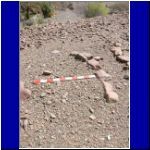 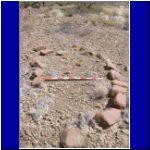 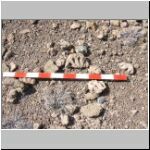 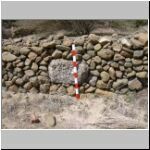 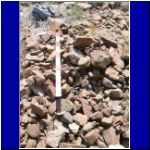 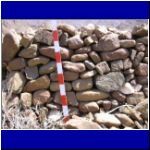 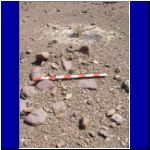 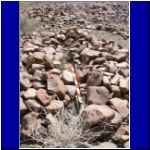 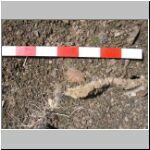 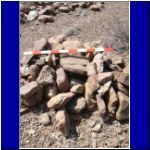 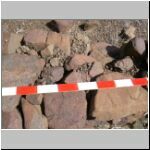 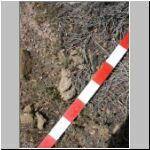 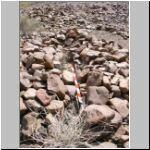 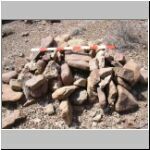 Pottery suggests some graves are relatively recent (perhaps 200 years old) while pottery found on or near other graves suggest a much older date (perhaps 1500 years old or more). 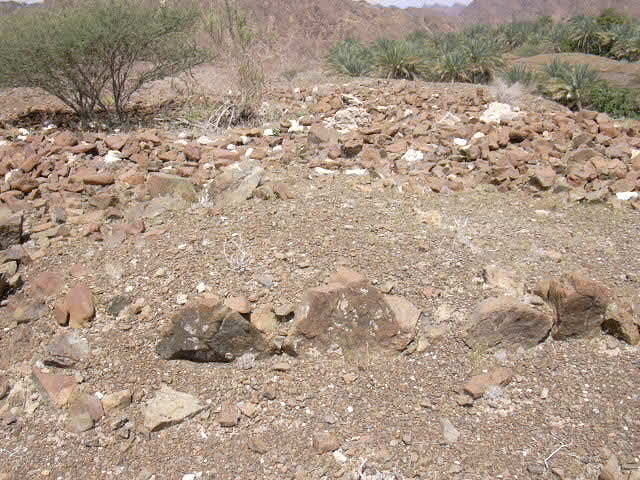 On our last visit to Musah several weeks ago, we found what appears to be a lid made of mud, the composition similar to the mud bricks we associate with copper smelters. 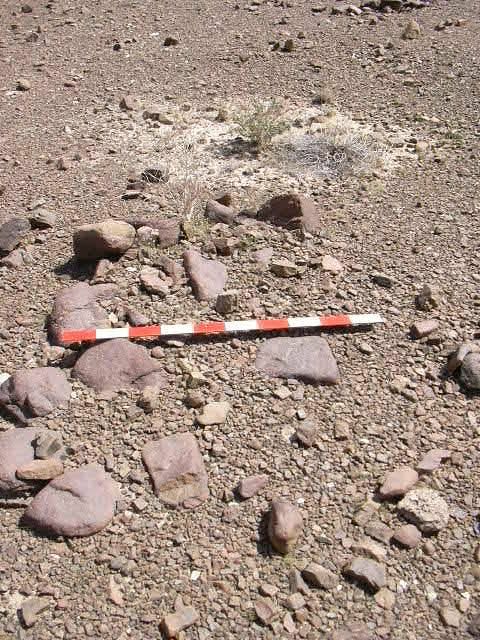 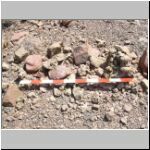 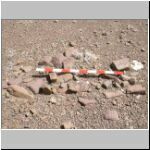 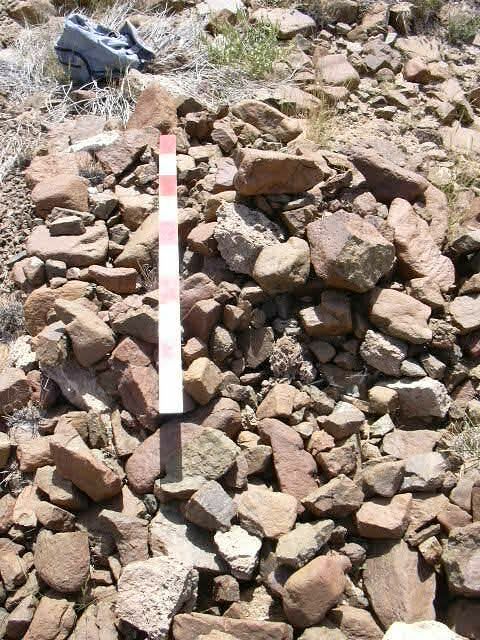 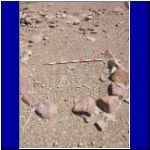 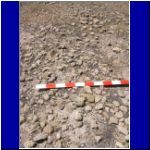 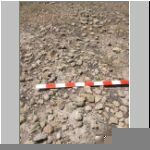 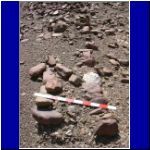 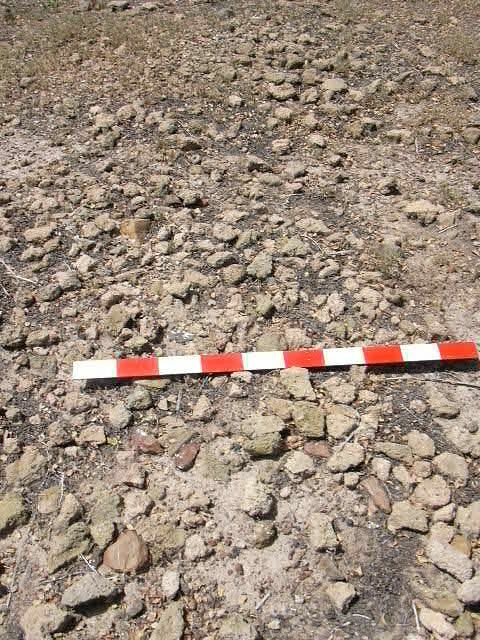 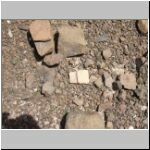 On this visit, we found two large sherds of what appears to be a plate or disk, finely made and likely between 15 and 20 cm in diameter. 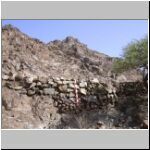 There was sufficient water in the afflaj for some of the group to go wading in water up over the waist. 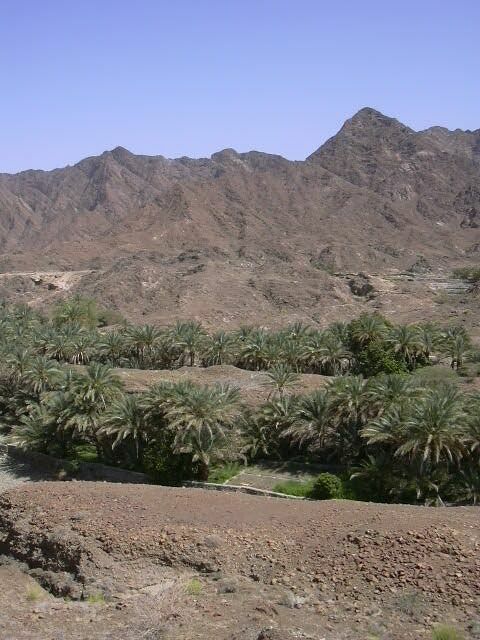 Very refreshing on such a warm day! 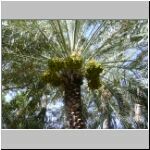 As many member will have already noted here in the city, the dates of some early species have already turned from a dark shade of green to a yellow color as the ripening process picks up pace. 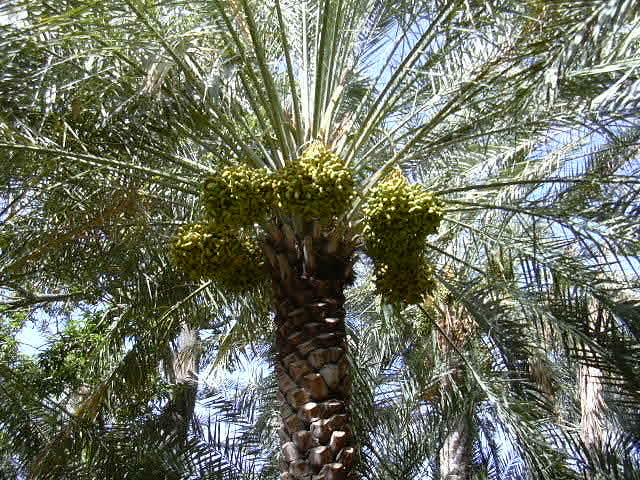 Most of the dates are now full size and will spend the next couple of months ripening. 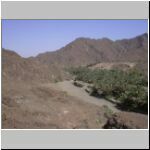 The group is interested in documenting this process for a variety of species of dates. 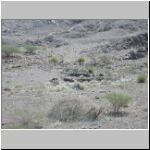 Photos on this page provided by Brien Holmes (click on image to see larger view). 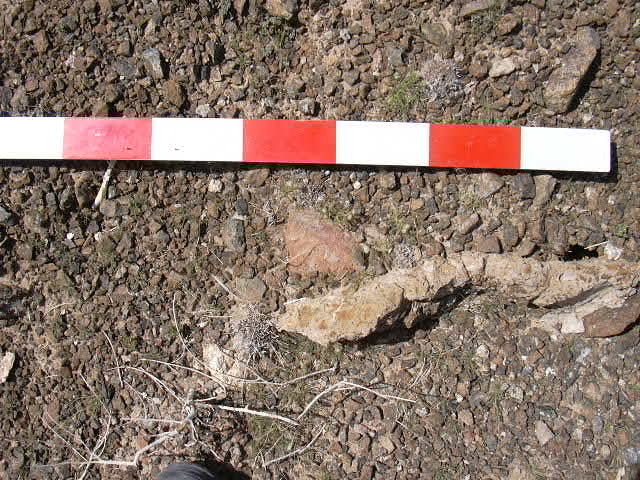 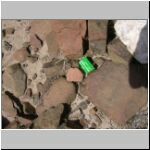 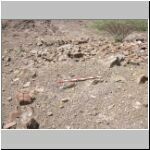 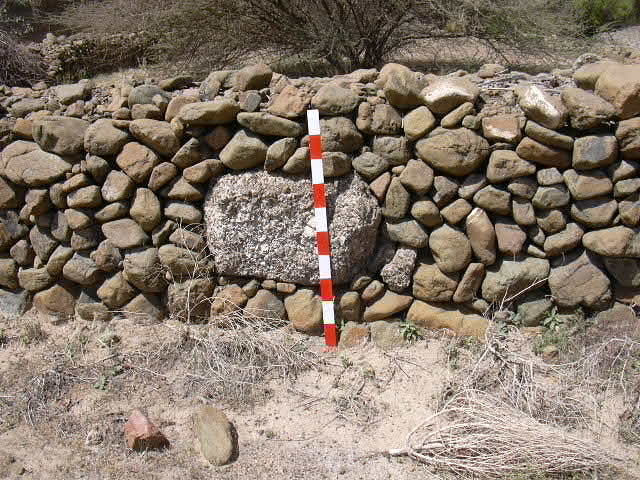 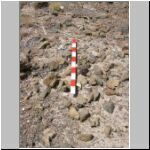 On one of our trips to Musah, Laurence and Brien documented some of the archaeology.